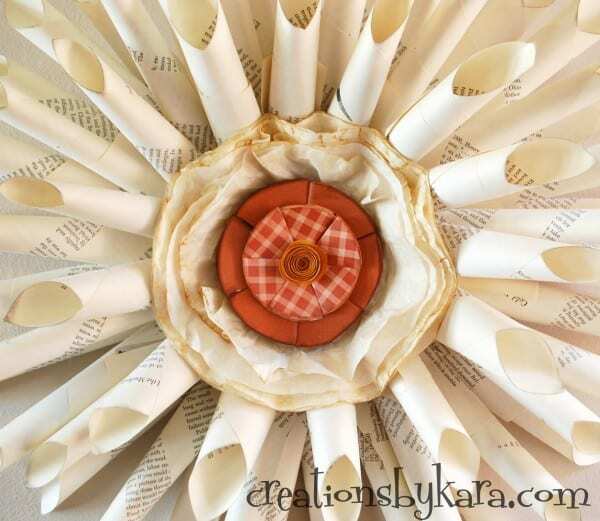 Fall Book Page Wreath . 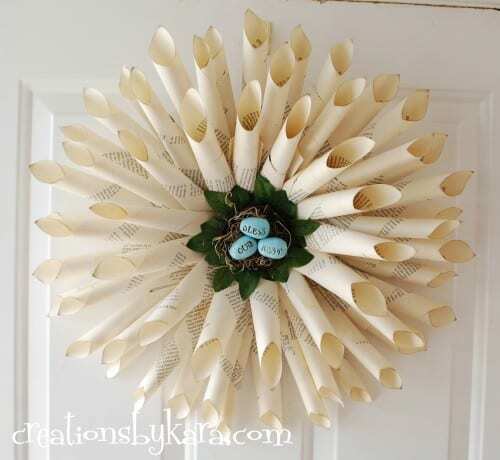 . . add a little vintage flair to your fall decor with this pretty, simple book page wreath. I never got around to decorating my mantel for Halloween, so I’m hoping to come up with a fabulous fall mantel to make up for it. For the focal point, I’m hanging a wreath over an old cabinet door. So I decided to make a fall version of my Interchangeable Book Page Wreath. 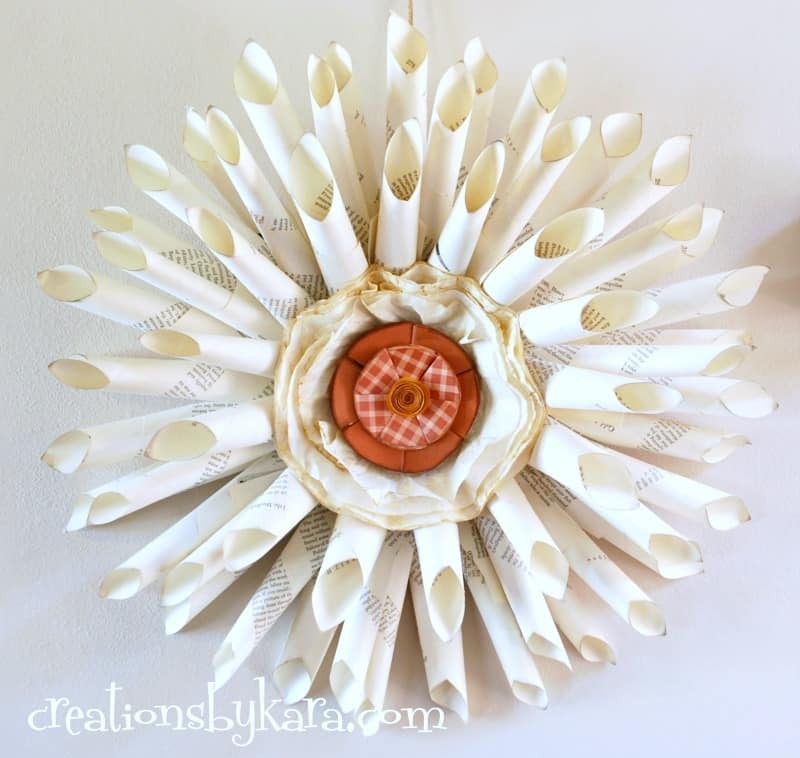 First up, if you don’t have a wreath base, you need to make the Book Page Wreath. 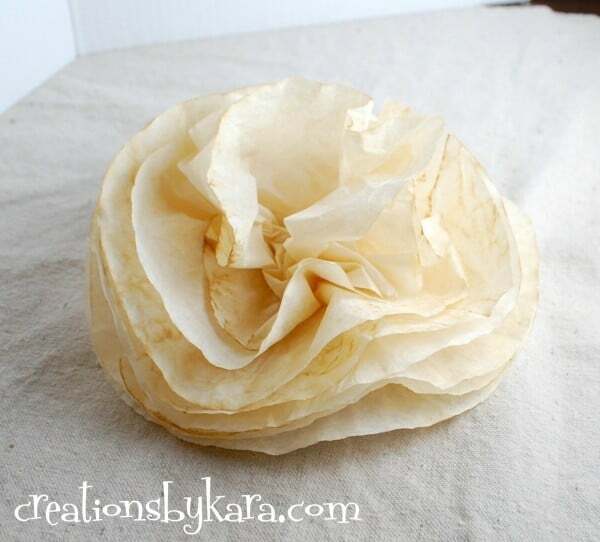 Take the coffee filters and make a stack by attaching them to each other with a dab of hot glue in the center of each one. 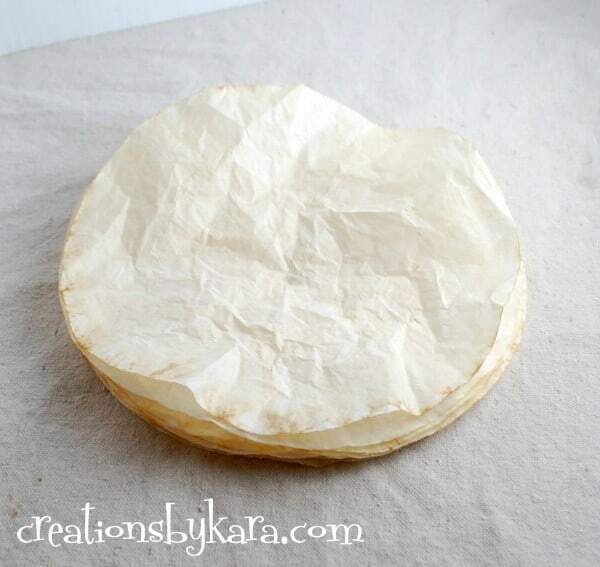 Starting with the top layer, start scrunching up each coffee filter. 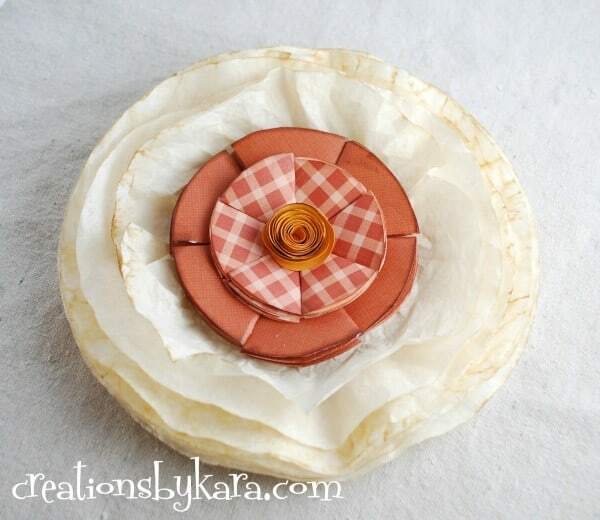 Then flatten the top down and add a folded paper flower to the center with hot glue. 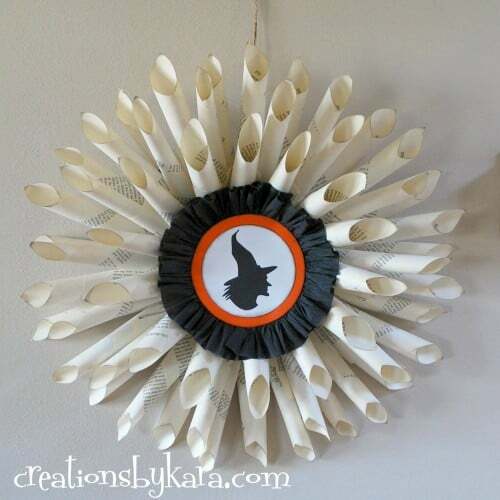 If you don’t want your wreath interchangeable, you can just hot glue the whole thing to the middle. But if you want an interchangeable wreath like mine, flip the whole thing over. 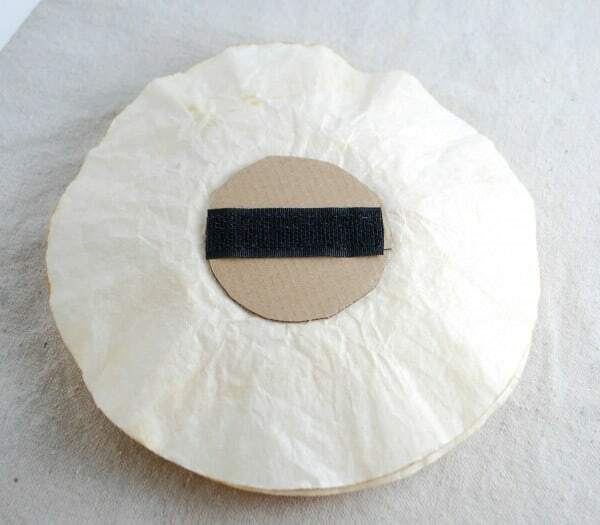 Cut out a cardboard circle and a piece of velcro. Hot glue the cardboard to the back, then hot glue the velcro across the middle. Now just attach it to the velcro in the middle of your wreath. Your wreath is so creative. I like the birds nest for spring. Thanks so much! The spring version was my first, and I still love it! This is so awesome! I would love to feature this on Reduce, Reuse, Upcycle. Feel free to stop by and grab a featured button. Thanks! SO cute! I love that it is interchangeable. I am featuring it at somedaycrafts.blogspot.com.